Moderate Indonesia arrested thirty-five women this week for “straddling” motorcycles in tight pants. Thirty-five women in Aceh’s city of Lhokseumawe have been let off with a warning after the Shariah police caught them straddling a motorcycle and not wearing appropriate Islamic dress. 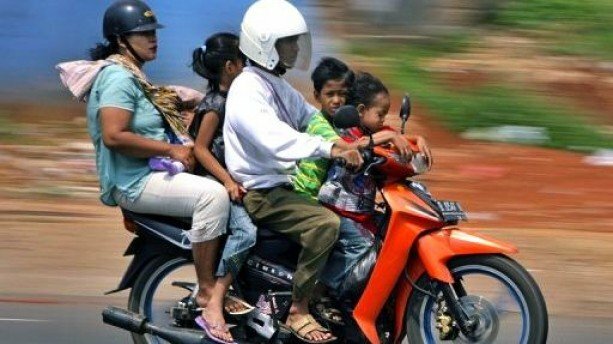 The Shariah police were conducting a raid on the main roads of Lhokseumawe on Friday, to monitor the administration’s bylaw that prohibits female passengers from straddling motorcycles. While the women were not arrested, they were warned to not straddle a motorcycle again and to not wear tight outfits. “As we saw today, many of our people were still straddling motorcycles, probably they don’t understand the regulation, that’s why we informed them,” Irsyadi explained.